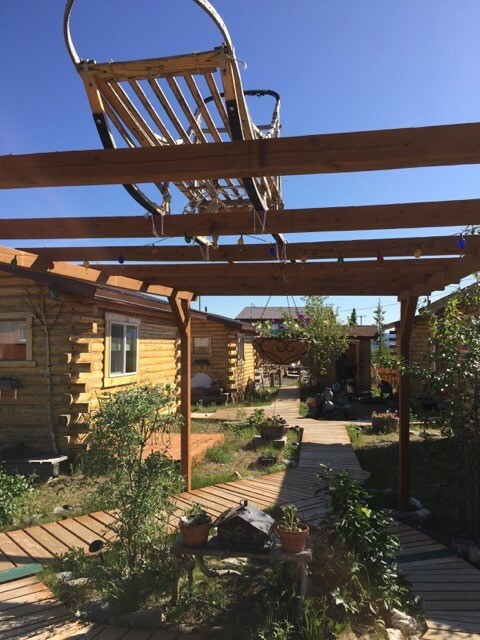 Earthsong Lodge started as a dream, a dream to create a place where guests could escape the crowds and find a quiet refuge in a land rich in beauty and wildlife in the heart of Alaska. Located just 17 miles north of Denali National Park on scenic and historic Stampede Road, Earthsong Lodge is located above the tree line on the open tundra. There are sweeping views of the mountains and excellent chances for wildlife viewing. You have your own view of Mt. McKinley, just 4 miles down the road from our lodge.